 Small Business Week is a national celebration of Canadian entrepreneurs and their contribution to Canada’s economy. The 2017 Vaughan event included The Hon. Maurizio Bevilacqua, Mayor of Vaughan, and Brian Shifman, President and CEO Vaughan CC. All proceeds from the event went to RecAssist (a fee-assistance program that subsidized the cost of recreational programs for low-income individuals and families in Vaughan). 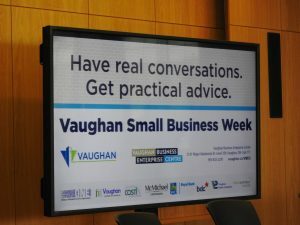 Not were we been featured in the Fall issue of Vaughan Business Link, but a camera crew filmed some selected classes to feature in a documentary on success stories in Vaughan that premiered during Vaughan Small Business Week! 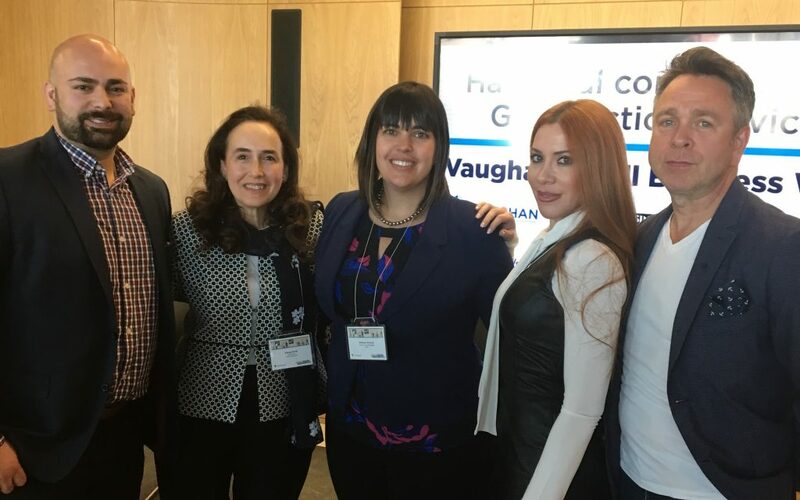 Our very own Dr. Karine Rashkovsky (pictured upper left with Mayor Bevilacqua) was also selected as one of four honoured entrepreneurial panelists who spoke at the Small Business Week Launch Event at Vaughan City Hall! See Karine with the other panelists and moderator (left to right) below!